Established in 2017, the India-UN Development Partnership Fund is a dedicated fund supporting Southern-owned and led, demand-driven and sustainable development projects across the developing world. The Fund aims to advance the Sustainable Development Goals (SDGs) with a focus on least developed countries and small island developing states. To celebrate the Fund’s one-year anniversary, Alamini Creative Group developed promotional materials, including a video, collateral and event signage, highlighting the Fund’s accomplishments to date. 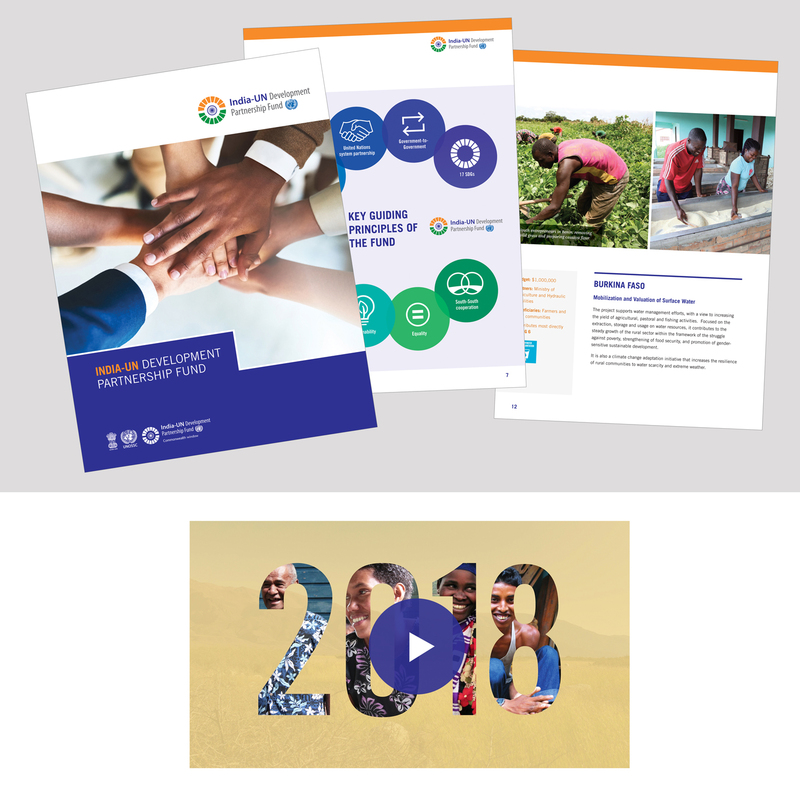 ACG also created a separate video and Commonwealth version of the India-UN Fund logo to mark the launch of the Fund’s new collaboration with The Commonwealth. This joint partnership facilitates transformative SDG projects in Commonwealth Member States across the developing world. ACG’s work was unveiled at the Fund’s annual meeting, attended by high-level UN members and officers.